Joseph Deedy (left) and Karl Stinehart say Southwick strikes a healthy balance between economic growth and outdoor attractions. A 250th anniversary celebration, Karl Stinehart says, is an opportunity in many ways for a town like Southwick. Southwick officials and volunteers have been meeting to plan a yearlong slate of anniversary events throughout 2019, securing a $25,000 state grant, with the help of state Sen. Don Humason and state Rep. Nicholas Boldyga, to plan activities, market events, and purchase street banners and commemorative merchandise, among other earmarks. There’s plenty to celebrate as the anniversary approaches, Stinehart said, from recreational offerings — like boating on the Congamond Lakes, motocross events at the Wick 338, and town events at the 66-acre Whalley Park — to growth on the residential front, particularly two large developments. Specifically, work continues on 26 homes at the new Noble Steed subdivision off Vining Hill Road, with 12 of those units already sold. Meanwhile, Fiore Realty is developing 65 to 70 homes at the former Southwick Country Club site, with 16 of the 23 sites on the west side of the property already sold; another 45 or so will later go up on the east side. “It sounds like it’s full steam ahead over there,” said Joseph Deedy, who chairs Southwick’s Select Board. What Southwick officials do want people — residents and visitors alike — to see is the array of recreational opportunities that have made this town of fewer than 10,000 residents a destination for tens of thousands of others. For starters, outdoors enthusiasts enjoy the Metacomet/Monadnock Trail, as well as a 6.5-mile-long linear park, or rail trail, that runs through town from the Westfield border to the Suffield border. And the town’s two golf courses, Edgewood and the Ranch — not to mention the par-3 track at Longhi’s, near the Feeding Hills line — are doing well following the closure of Southwick Country Club, Deedy said. Meanwhile, the lakes on the south side of town — featuring two boat ramps, a fishing pier, and a town beach — provide plenty of activity for residents. A $275,000 project recently renovated the south boat ramp on Berkshire Avenue, making it more modern and handicap-accessible, and the beachfront was recently renovated as well. Stinehart said the lakes and their environs are an important aspect of Southwick’s outdoor culture and worthy of investment, being, among other things, a major destination for freshwater fishing tournaments. “Anytime you come by at 5 a.m., they’re out there,” Deedy added. Then there’s the Wick 338, the motocross track behind the American Legion, which abuts the Southwick Recreation Center and Whalley Park. The complex hosts the annual Lucas Oil Pro Motocross Championship — which is broadcast live on NBC and draws some 15,000 to 18,000 people to town — as well about 25 other races throughout the year and a host of other events, including Rugged Maniac New England, a challenging, mud-splattered 5K obstacle course. That continual flow of visitors to town benefits a host of other businesses, from gas stations to restaurants, Stinehart noted. As for Whalley Park itself — which was donated to the town by the prominent Whalley family and developed using municipal and Community Preservation Act funds — it includes a full-size soccer field, baseball field, and softball field, lighting for the fields, a huge kids’ play area, and a pavilion. Deedy said the town recently put up more lights and is looking to expand its roster of tournaments and other bookings. Southwick has kept busy with needed infrastructure efforts as well, including a current project to improve the roadway and drainage on Congamond Road — a key entry into town from Connecticut — aided by more than $4 million in state funds. That follows a similar project that wrapped up last year on Feeding Hills Road. 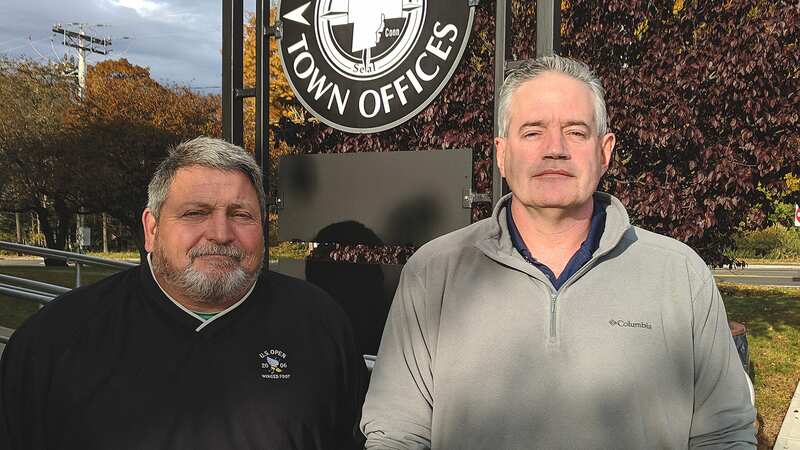 The town also tapped $500,000 from the state’s small-bridges program, while leveraging some local funds, to replace the Shurtleff Brook culvert on North Loomis Street, near the Westfield line, Deedy said, noting that all cities and towns could use more such assistance. “Every single community has certain common denominators, and those are culverts and bridges and roads — and the need for additional money,” Stinehart added. Ongoing efforts to preserve open space nearby are also gaining ground, as the town continues to raise money toward the acquisition of a 144-acre parcel on North Pond at Congamond Lakes. The Mass. Department of Fisheries and Wildlife awarded Southwick money to help purchase it, and the Franklin Land Trust has embarked on a fund-raising effort to make up the difference in price. The parcel is abutted by two areas owned by the Commonwealth of Massachusetts and the state of Connecticut. Overall, Deedy noted, the town offers plenty of incentives for businesses, ranging from proximity to Bradley International Airport to a singular tax rate of $17.47 for residential and commercial properties, as well as modern schools — the complex on Feeding Hills Road that houses Woodland Elementary School, Powder Mill Middle School, and Southwick Regional High School underwent significant additions and renovations in recent years — that have the space to accommodate Southwick’s developing neighborhoods. Not to mention a leadership culture in town that promotes volunteerism opportunities and open communication, Deedy added. These days, with the 250th anniversary coming up and continued progress on the residential, business, and recreational fronts, there are plenty of positives to communicate in this small but active community.